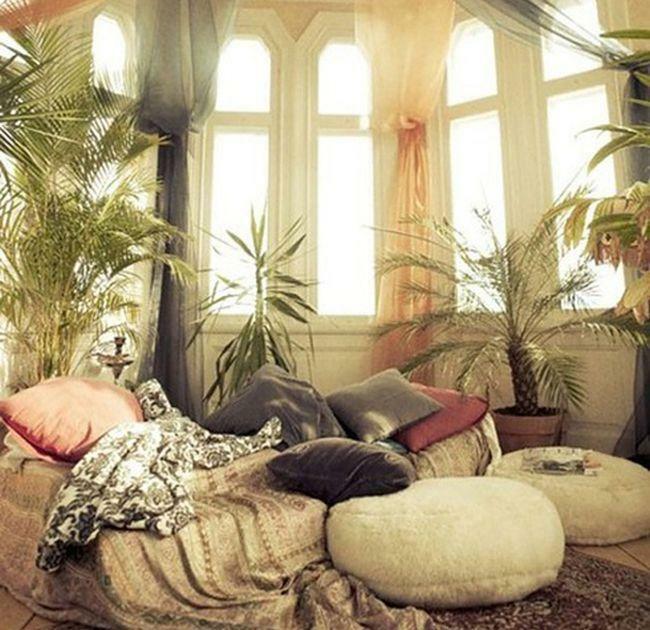 Rooms That Help You Really Relax! 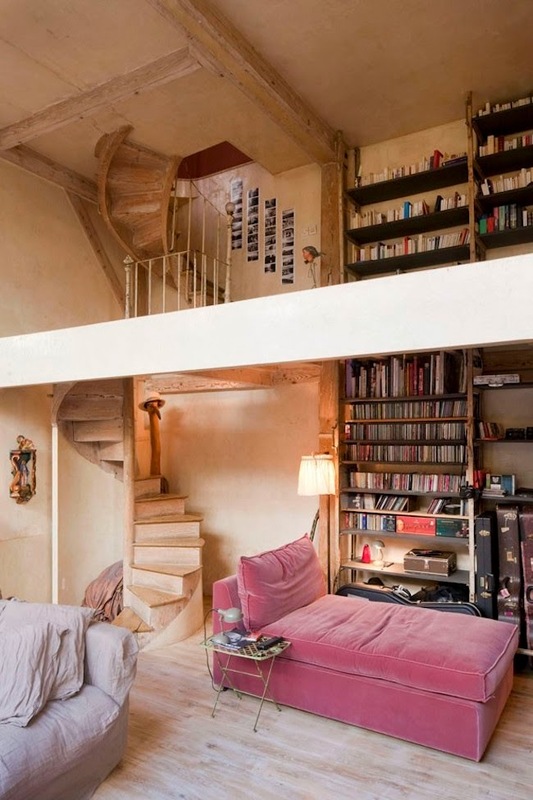 On Chantal Moore’s Pinterest I spotted this sofa in a delicious Parisian loft and thought… I need to take a nap. And that is the power of great design to propel you toward emotion, self-care, rest and retreat! 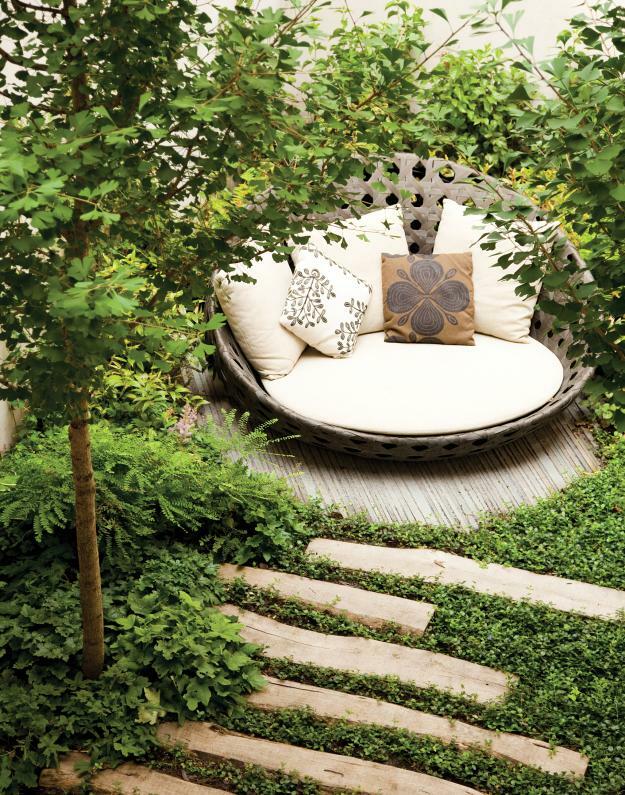 Today’s design inspiration is all about really, trully relaxing…! Like in Nature. What a gem of a retreat. 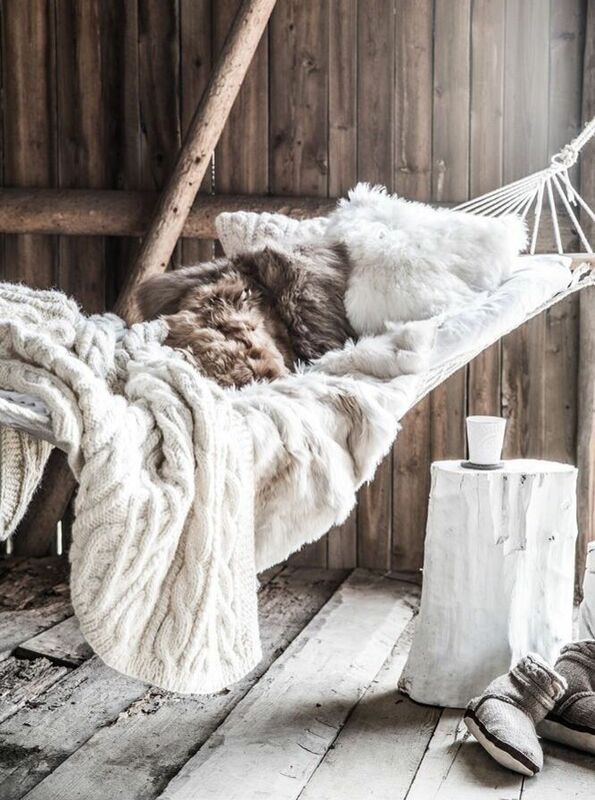 Or a hammock dressed up for winter… or simply, nap time. Boho brilliance lends itself to a release of tension. 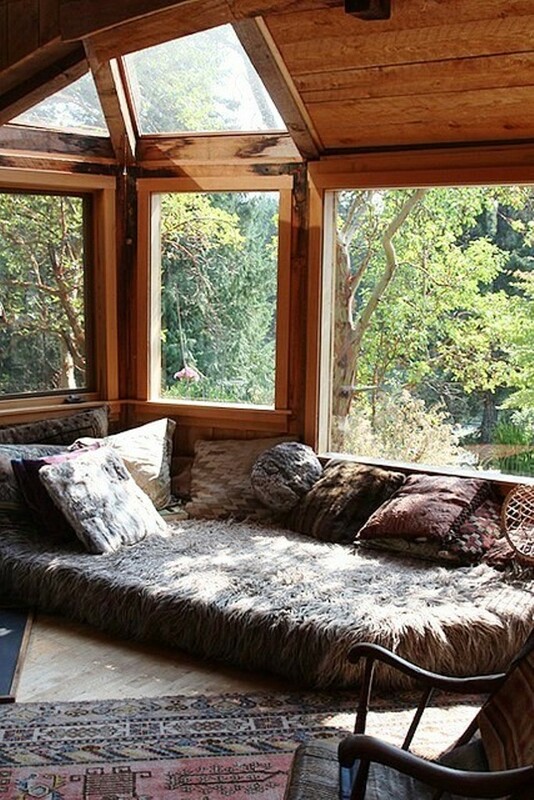 And this huge lounger on the floor turns this space into a sweet sort of fantasy land sanctuary. Previous post: Feng Shui To Have The Energy For The Things You Really Want! Next post: Happy Surprises Are Waiting For You!